This teacher training will provide Christ-centered learning in an intimate setting for individuals of all levels and beliefs. As Lincoln’s only faith-based studio, we will strive to empower growth in the mind, body, and spirit. We see this as a yoga training/life investment for balance, self development and/or is for those desiring to advance their practice and teach yoga. With a 200-hour certification from Yoga Alliance, you will be enabled to take your ministry of yoga to the community. Our training will be designed to take you out of your comfort zone and into growth. When you join our training program, you will not only be signing up for an adventure but a family. 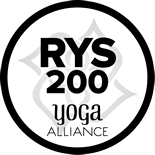 Interested in learning more about Studio 4:8 Yoga Inc. 200-hour Teacher Training? Sign-up to receive our informational packet! REGISTRATION IS NOW CLOSED FOR 2019. Our next training is in 2021. To register, please pay here for credit/debit card transactions. 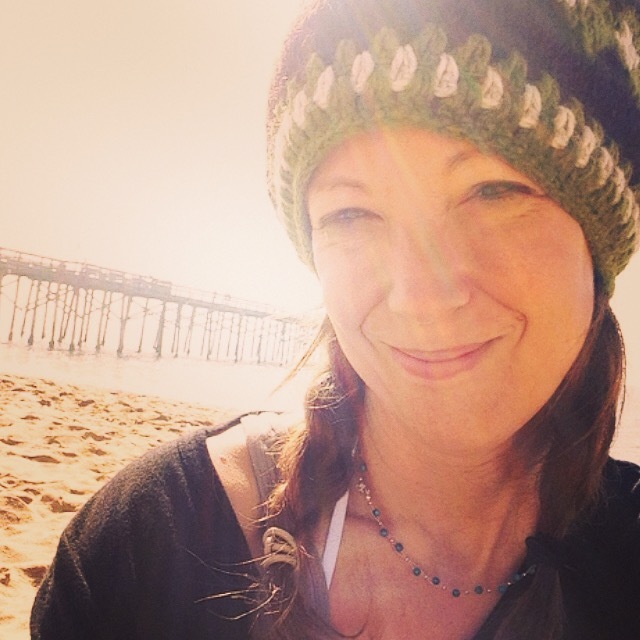 I hoped training would be different than other yoga trainings available…and it has been. I’m experiencing great new relationships with the people in my class, a new closeness with God, great ideas for to use in class, and expanded use of anatomy and a greater sense of purpose in my yoga practice and instruction (as a teacher). I’ve learned that all people have messy lives and we unite through our commonalities and differences under the guidance of God. When you trust others with your mess and know that they will support you and not judge you it makes for a much richer learning experience. I go home after training feeling emotionally exhausted from the realness and rawness – and all in a good way…the way you feel after a pint of Ben and Jerry’s ice cream and a good cry with your best friend. I have a support group that I’ve never had before. I can’t imagine going through this without them. I am so grateful for the safe space we’ve created together to get through the mess so that we can become the best instructors possible. I am being a total cheese ball with all the feels, but it is SO true. There is no way I would ever get through this without the trainee tribe. Places/focus of study include: Shoshoni Ashram- Colorado, “Jesus at the Core” through Holy Yoga – New York, Therapeutic Touch Training, through Holy Yoga – Irvine, CA, 200hr RYT-Yoga Alliance-Lincoln, Ne, Restorative Yoga Certification through Bhadra Yoga in Omaha. 300-hour through Holy Yoga. I tried yoga for the first time 14 years ago. Being a fitness instructor for 15 years, I just wanted something to “cool my jets,” and to be honest, the first few yoga classes that I attended I found to be incredibly boring. But still, I kept going back, always rolling up my mat early and skipping the relaxation/meditation part. I really had no desire to be still and be alone with my thoughts,though eventually I realized that the slow down was what I needed the most in my life. I needed to slow down, to make time for stillness and INVITE the sweet whisper of my Creator and completely surrender to His grace. That’s when things got messy. And messy — messy is good. Messy is where the magic happens. It’s in this void, this emptiness where we realize that we are broken. And in this state of brokenness, we can either reach for our Creator (or in some cases, let Him reach for us) or we can deny Him. I’ve done both. Studio 4:8 in name and mission strives to deliver classes with the intention of tuning out the world’s frequency, and tuning into God’s frequency. One of the most black and white aspects of my life is my yoga practice. And thank God because I am really good at second guessing myself, over-analyzing situations, and generally being a hot mess. But the first time I stepped on a mat eight years ago I was hooked. As a Christian practicing in secular studios I would often drown out the teacher and go into prayer. I loved the breath with movement and how it left me feeling so alive. Four years later I received my 250RYT teacher certification through Yahweh Yoga and it completely revolutionized my yoga practice. I had finally found the yoga Jesus bridge. My practice has allowed me to find stillness when life is raging, keeps me playful, reminds me to be gentle with myself and accept myself as I am today. But more importantly, allows me to connect with my Creator on a deeper level than I had ever experienced before. When I’m not on my mat, I enjoy traveling the world with my posse, hiking, drinking copious amounts of coffee, gardening, and doing weird hippy stuff. When Laura walked into her first yoga class over 16 years ago, she had no idea where the journey would take her. Now Laura truly loves yoga and how it enriches her life. As a healthcare professional for over 20 years, Laura finds that teaching yoga is just another extension of how she can help people reach their true potential. 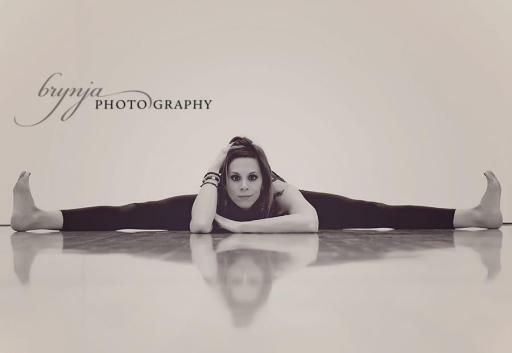 Laura is a licensed 200 level certified yoga instructor. “As a yoga instructor I want people to feel accepted, welcomed and loved. 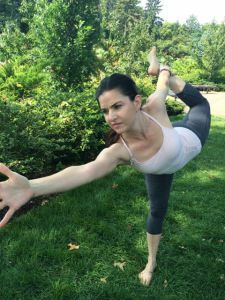 My style of yoga is Vinyasa flow and I love inversions, leg balancing and victorious asanas that leave you feeling strong both physically and mentally.” Laura also enjoys creative freedom in her practice. Laura lives in Lincoln with her husband Kristian and their five children. She loves music, reading, traveling and Jesus Christ.